and yes, her life-long love affair with the accordion, an instrument which has too often faced music-institutional prejudice and has become an evolving technology for Oliveros, first getting re-tuned, in a gentle just intonation, and more recently digitized, and often fiercely so. I'm prepared to be astonished by Pauline's music for the next 80 years! But that's beginning to sound too much like a review, which I don't do. Let me note, instead, something about the formal strengths of The Rake as a single and tightly wound piece of music. It progresses, in its own perversely not-quite-tonal rakishness, from the bucolic plausibility of the opening scene through the ever-expanding range of stylistic references in each set-piece, gradually accumulating snippits and swathes of melodic material and accompanying figuration, juxtaposed end-to-end and superimposed in a steady simulacrum of music you almost know, or think you might have known (the neo-classic label is never quite accurate here: there's as much suggestive of Tchaikovsky and French operetta here as of Mozart, despite the composer's own oft-stated point of departure in Cosi fan tutte (Cosi is present, of course, but mainly in the writing for woodwinds*)), but really creating an illusion space of fictive progression until that shockingly subdued and reflective climatic moment of the opera, which is not vocal, but instrumental, the prelude to the wager scene: music for strings (which happens, structurally, in a place just about equivalent to the cello solo in Don Carlo(s)) which looks something like old viol music on paper, but doesn't sound like anything other than itself, music which is moody and makes a move, progressing from an initial Bb minorish sonority to a cadential F majorish but what passes between, possibly the most unrelentingly dissonant music of the evening but also the most ravishingly tragic, doesn't really make sense, at least not in terms of any music we really do know. This is a strong indication to me that Stravinsky has succeeded, through the saturation effect of so much simulacra, in suspending our disbeliefs in improbable successions of tones,** which (as far as I'm concerned) is exactly what an opera — and opera, if anything, has to be about the suspension of disbeliefs — ought to do with tones. The technique here is cumulative and progressive. To make that work the accretion of new elements has to be paced by some constant function. I suspect that Stravinsky's text setting, with its improbable English diction, an unnatural and sometimes near-random assignment of rhythm and stress, actually does a good part of the work of moving things forward, with the propulsive effect of language constantly off-kilter in the recitatives and forming paradoxically lyrical but fragmented lines in the arias which float over any regularities in the accompaniments. Another strong cumulative and progressive structural element is a set of parallel lists: the stages in the Nick's corruption of Tom, the series of questions asked by Mother Goose and the chorus, and then the series of items in Selim's auction and, finally, the series of guesses in the wager scene. Stravinsky responded compositionally to these parallelisms by, essentially, composing over them, avoiding the obvious strophic treatment, letting the text and plot hold together so the music can keep progressing, rakishly. * In particular, isn't the writing for bassoon throughout fantastic? And those two extended trumpet solos...! ** Perhaps the greatest utility to Stravinsky, in his later invention and adoption of the "vertical" serial technique, is that he had a ready reserve of a variety of chords with surprising doublings (and treblings and morelings), whose connections, that is, progressions (in a functional sense) were effectively obscured. The "Open Goldberg Variations" project seems to have slipped under the professional music making and scholarship radar although it's quite possible that it is providing a substantial challenge to the traditional structure of producing and publishing performing editions and recordings of music in the public domain. The project encompasses the production of a new edition, from source, using crowd editing, of Bach's "Goldberg" Variations, in Musescore notation format, which produces a payback-able score with audio as well as independent notation and midi files and, for this particular project, a studio quality recording of the piece by pianist Kimiko Ishizaka, all of which will be placed in the public domain with Creative Commons licenses and be available for free downloading and, as open source material, unrestricted further use. The Kickstarter page is here, the page at the Musescore site with the current version of the edition is here. The challenge that a project like this poses to traditional score and recording publication is clear, but the challenge to musicology should also be recognized. Although the "golden age" of the production of critical editions as a central activity for musicologists is a bit behind us, when professional musicologists are involved with editing, the old conventions of editorial territoriality and priority still tend to hold — finders keepers — just like on the playground and publishers entering into multi-year (and often multi-decade) commitments to put out expensive complete editions expect, correctly, to have some return on their investment, so they expect the exclusivity afforded by a copyright on the edition. But opening up the entire process, as online publishing and cooperation makes possible, has the potential to change everything. Volunteer labor has already produced a mass of performance materials available free and immediately, if not in the beautiful paper editions the traditional publishers did so well. But the quality of production outside of the traditional publishing system has improved spectacularly. And, in extreme cases, as when a significant manuscript (or, as the case might well be, an insignificant manuscript by a major composer) is first located, traditionally, the finder had the right of first edition and could usually keep the manuscript under wraps until he or she is done and only then begins the open vetting process over authority, provenance, and quality. That exclusivity, I believe, is no longer sustainable. Imagine what the process would be like if a newly-discovered manuscript image was made available to crowd scrutiny immediately upon discovery! This Goldberg project happens to have been funded (and actually funded well in excess of what the organizers had sought) and it remains to be seen what kinds of projects will happen in the future without such a foundation. (Personally, as nice as it is, I don't think that the sponsored audio recording is also necessary. One also wonders if the public funders, which have, in the past, supported the research that effectively subsidizes many private publications of scholarly editions, will adjust to the cost-effective sourcing of this work and actually support open-source projects as well or even instead. The open aspect here, I think is key, for it has a more natural fit to the public aspect of scholarly publication. The serious move, chiefly among scientists, engineers and mathematicians, to boycott some private journals in favor of free and open alternatives, as those journals profit from the material and in-kind contributions of academics paid by the public hand and then turn around and sell their journals at high prices to academic libraries addresses very closely related concerns.. YET MORE UNSOLICITED ADVICE FOR YOUNGER COMPOSERS: If it says "Composition Program" on the office door, turn right around and leave that building as fast as you possibly can. It's been my experience that whenever the term "program" is used in connection with the academic study of composition, in a conservatory, or a college or university music department, it cannot lead to good things. Programs are about reproduction, not creative production, and they belong in paths of learning that are not oriented to new discoveries but to fixed bodies of knowledge or technique. Programs also smack of mass production and efficiency, which is very different from individual creation and the idiosyncratic forms of efficiency that composition — mostly a solo effort — requires. Craft not industry. One size does not fit all: composing's a craft that thrives on smart challenges to standards and practices, not to rigid standardization. When you leave school, your music will succeed more for its distinctiveness than for its similitudes, and these distinctions are both aesthetic and practical. (Any composition teacher who tells you not to make scores and parts in landscape orientation because they're not standard practice — and there are really people like this in big famous conservatories — may be sharing the local secret handshake (and that may indeed win you a BMI or ASCAP student comp brownie button) hasn't actually seen a lot of real musical practice!) As a student composer, there are all sorts of interesting and useful things to learn in any number of programs housed in a conservatory or a liberal arts college or university, and many of these interesting and useful things come packaged as programs, but the study of composition isn't one of these things. Learning Attic Greek in a Classics program, or taking a course in Southeast Asian Civilization or Pre-Columbian Mythology or Architectural History or Economics or Astronomy or Quantum Mechanics in whatever programs they come from can all be interesting and useful to a composer-in-training. (Learning to program computers, also useful, can often be done within formal computer science programs, although every bit of computer programming I've ever learned has been done on the fly, mostly during all-nighters with friends, caffeine, and much to munch on.) You get some well-rounding and some study skills and your mind may even be provoked enough to be reliably interested, curious, questioning, and maybe even interesting for the rest of your life, whatever happens to you musically. Even in the Music Department, a good Music Education program will have those very useful courses in which you can get some basic hands-on experience with all of the major band and orchestra instruments. SLIGHTLY RANTING ASIDE: For the past generation or so, the "innovation" in music departments and conservatories has been to teach courses in Music Management and Marketing, even though there are really no such disciplines. There are no universally applicable theories and skill sets for the business of music, and the micro-business of new musical composition in particular. We're working in very small niches and everyone of us is in a unique niche, with its own context, contacts, conditions, and all of this is dynamic, in constant change, not least in terms of communications methods. Yes, there are people who are very successful with managing and marketing music, but the most successful (who, incidentally, are unlikely to have ever been in a student in such a program themselves having, instead, happened into their careers the way music managers have done for decades) aren't going to teach five-unit courses on an adjunct's hourly wage in a music management program and even if they did, the likelihood that their skill sets are transferable to your own particular circumstances is slight. Bottom line: beware that a music management programs may be a scam, an added profit center for the conservatory or department, an additional low-overhead course for critical masses of captive students that has the appearance of meeting pressing concerns for students looking at life after school; studying is expensive enough these days that you shouldn't waste you time and money on them. Any school that requires this of you should be avoided. If you want some useful skills in this area, take some actual business courses and, even more important, take some liberal arts courses from teachers with a reputation for helping students with their writing skills. Grants and PR work require interesting writing and you learn writing best by writing for someone prepared to read you work closely and critically. AND IF, FOR ALL THAT, the composition teacher with whom you want to study (and who is willing to take you on as a student) happens to be employed by an institution with a "Composition Program", try to negotiate a working relationship with both her or him and the institution, in which the institutional circumstances are most advantageous and least invasive. If the institution offers opportunities for readings and concerts and recordings of one's work, terrific, but try to secure these with the least bureaucratic hurdles. Good libraries and studios and instrument collections and rehearsal spaces are valuable, good colleagues among the composers and players are more than valuable (extra sets of good critical ears are always useful.) And if the institution can help you with all the secret passwords, monikers, and handshakes that help gain entry into the fairy land of scholarships and awards and gigs, then bully for you. You might, however, find it useful to establish just how rigid the local rules and requirements really are, and then be ready to test them when they appear to get in the way of your work. After all, you're most likely paying to be there and you may also be performing services for the institution — teaching or research assisting, making recordings, stacking books, holding sectional rehearsals, etc. — at such modest wages that the institution gets much more than it's money's worth out of your enrollment and servitude. Further, you may well have to look forward to eventually leaving the institution with significant debt and modest chances for future academic employment, so to some large degree, they need you more than you need them. AND THEN THIS: If I know anything, more than twenty years after leaving academia with all the travelling papers I can carry, it's how much more I want to learn about music. My studies didn't end with my last diploma; on the contrary, I think that ending a formal relationship with a university or conservatory was just the beginning of my studies. Lou Harrison, already a mature composer and a composer whose institutional affiliations were often tenuous, dedicated his Music Primer to "my fellow students"; this item was written in the same spirit. There is some confusion between the radical music's minimal impulse — the elimination of distractions — and austerity. 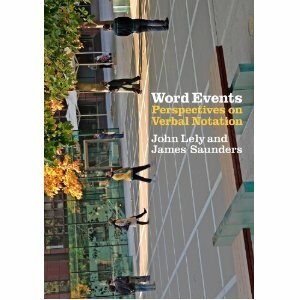 When the PR Department at Nonesuch records effectively recuperated and coopted the label "minimalism" (dropping La Monte Young out of the Young, Riley, Reich & Glass quartet and replacing Young with a more or less conventionally tonal composer from their own stable, John Adams) the notion of eliminating distractions in order to create a frame within which ever more layers of rich acoustical detail could be heard, a form of austerity —when not acoustical poverty — was promoted. It is tempting to identify this with the current form of economic austerity — at the cost of diversity and growth — that is widely promoted these days, particularly (but not only) by the political right. The latest item to come across my desktop is INScore, an augmented and interactive program. "Augmented" means it allows all sorts of objects — among them score notation, graphics, text, signals or triggers or sensors of various sorts — to share space (and music-notational space-time) on page or screen and "interactive" means that it can be used in real time to generate and respond to objects and events and scores can even be designed in real time. The utility of a program like this — for live animated scores for players, triggering electronics, re-arrangeable in realtime — is obvious. It looks to me to be in an early but very much usable stage of development and is multi-platform and open source. If anyone reading this gives INScore a spin, please let me know what you think of it. * AFAIC the one thing worse than a music school or department requiring student to purchase a particular notation program — however good they may be (I use Finale and Sibelius myself, with a half dozen other notation programs as well) and however convenient it may be for classroom management — is giving credit courses for learning to operate one of these programs. Les Troyens is set in Troy and Carthage and is peopled by Trojans in the first two acts (Greeks are only a background presence) and refugee Trojans and Carthaginians populate acts three through five. The historical status of Troy is, well, complicated, but the myth is vivid, in both Homer and Vergil while the historical Carthage (near modern Tunis) is much more established, but it is also the myth here, of a thriving city established in only seven years by exiles from Phoenician Tyre, that is at work. A substantial part of Berlioz's project in Les Troyens was to project the two city-states through distinctive music and while we are now perfectly clear that his was not a reconstructive project and he was composing for western orchestra within a range the limits of which we now readily recognize (compare the range of instruments and scales/tunings Lou Harrison used to contrast Rome with Bythinia in the original version of Young Caesar), the composer audibly pushed those limits to suggest these two states as contrasting cultures, if only in the anthems and marches he devised, with the Trojans in particular marked by major-minor contrast, unconventional functional harmony and by reminiscences of French Revolutionary music, repertoire that presumably continued to carry a marker for otherness. There is some prehistory to this in that the ancient and exotic was a frequent and early theme in opera, but it took some time before the ancient and/or exotic actually was distinguished musically. Rameau's Les Indes galantes, presented four tableau representing non-European cultures, but these were supposed to be contemporary, fictional stories within real worlds, and the music was not strongly distinguished (if at all) from Rameau's usual style. The tradition of imitating Ottoman military music is more familiar, particularly in Viennese classicism, and even when a composer's contact with actual Janissary music was relatively close (think of the Austro-Turkish War of 1787) this is again in the context of fictions told about real cultures. Haydn's Il mondo della luna arguably attempts some fictional world (well, okay, satellite) building in the form of the faked moon landing, which is distinguished largely by reserving the key of Eb for the pseudo-lunar scenes. A useful case for the potential advantages of world building as a compositional project may be found by considering Roger Session's opera Montezuma as a counter-example. Sessions made no attempt to synthesize distinctive musical styles for the two clashing cultures portrayed and I suspect that this lack of characterization contributed to the opera's failure. Communicate? I want music that communicates in the same way a copper pot handle communicates heat. So, yep, it may be useful to think of the future of new/experimental/radical music more in terms of The Wire or alternative comics. Some composers work on one piece at a time but I tend rather to have several pieces in progress at the same time, each in different stages of completion (or, as the case may well be, abandonment). Some scores seem to write themselves, quickly without interruption, while others require a lot of pondering or re-working. I have a few projects that have sat on a far corner of my desk and/or in the back of my mind for a long, long, time. Some could be finished in a snap, but are presently "waiting to be commissioned," others are troubled, perhaps hopelessly so, and still others are private projects, not ever intended for public use, but made rather just to satisfy some musical curiosity of my own, an indulgence I'm fortunate to grant myself. Some of these sketches for pieces, my lumber, are notated conventionally, others have prose scores (or "reports" as Henry Brant called them, prose instructions from the composer to the composer to reduce anxiety in going from idea to playable score.) The less developed are just ideas, sometimes little more than a title: Meander Scar. In Praise of Wasps & Bees. Anagoge. (The title is) Two Lines. It's a long-ish piece for a medium-sized orchestra, divided in two not-quite equal parts in a fairly eccentric way, but seating ordinarily, the ensembles are not physically divided, but dovetailed. And each of the two orchestras plays a long, independent melody, each an "orchestrated unison" (with some tactical intervallic, chordal, and aggregate (including unpitched percussion) doublings). The two orchestras share a common pulse and a notationally convenient metre, but are generally independent with some distinct qualities (i.e. one has a lot of repeated tones and florid ornaments, the other has only very short and very long tones ornamented only by slow portamenti), coming together — which can mean at a unison or a consonance or some complementarity — only at major structural points (like Javanese seleh) triggered by rhythmic and tonal approchements. A tower crane, perhaps 10 stories tall, recently assumed a large presence in my neighborhood's modest skyline with the view to the East now dominated by its yellow fixed mast and rotating jib that stand center and above the site of a apartment block and small shopping center under construction. Always fascinated by large machinery and construction projects, I've made a point of following this site since the demolition of the old buildings and, in company with Mutt Lucky the composer's best friend, I've walked by at least twice daily since last summer. (I even tried to bribe the crane operator in letting me up into the cab, but no go, liability insurance and all that.) The attraction and the action for me is in the construction — the structure, materials, processes, and logistics — with the final, finished building, something of an footnote. As a composer, my engagement with music is very much of a piece with this, with my earliest compositional impulses probably those found while building with Lincoln Logs, Tinker Toys, Togl, or Lego and the attraction to the music of John Cage and Lou Harrison, as a budding composer of 13 or 14, was, first of all, structural — the division of the duration of the whole piece into subordinate parts — and only then came the selection and distribution of materials — sounds — into that structure. Variations on Mr. Cage's Square Root Form and Mr. H's Formal Systems & Phrase Systems are still some of the most trusted tools in my box. They help make music which reliably holds together. Such temporal systems are foundation and framework, and they are useful whether or not they are, in the end, audible. Daniel Stearns's CD, Golden Town (2011 spectropol records) has been played with some intensity in my studio for a few months now. People who know me or read this blog know that I don't take recordings lightly, sometimes taking great lengths to avoid the medium, but Golden Town is such a striking (at turns alien, challenging, then almost familiar, almost easy) listening experience, and one made very much for the recorded media, that I've wanted to share some words about it, but it is precisely this knot of vision/sound/word problems that has kept me back. Stearns offers plenty in the way of liner notes, but not necessarily much helpful if you're curious about how the music was put together. Instead — and now this strikes me as odd for a work tied to the composer's own dissociative occasions — the notes are associations: among them to James's Nature Mysticism, to Charles Ives (always a background presence in Stearns's music), to the visual works of Adolf Wölfli, to the natural landscape of his native Massacusetts, and, most specifically, to a series of (to be honest, disturbing) cell phone photos taken in Stearns's new home-away-from, Slovakia. But these associations seem to be tangential, in the way dreamwork often is, and the composer's own description of the music as dissociative has to be taken seriously. Listening to these pieces, a set of 14 to be taken both as stand-alones and as a whole (a whole which, to my ears, has all the substance that some of those big "new complexity" compositional cycles are aiming for), is premised on giving into the visionary quality of the work, made of the stuff of trance and waking dreams rather than everyday music-making, and the listener should be prepared for the absence of reason and, yes, the darkness that can often characterize dreams. Stearns is a real independent, a virtuoso improvising musician (fretted strings in particular) with a microtonal bent, and is anything but an academic composer (although I happen to have become aware of him and his music initially through some rigorous work he had done in the theory of intonation). There is a cultivated and diffident roughness to this music, with plenty of distortion and artifacts. I honestly don't know how he puts this music together, how much is planned, how much is spontaneous, or how much is hand-and-ears-on audio bricolage, and I am very curious to know more about his tools and techniques, but maybe it's enough just to recognize that these are very much recording studio products, using the distortion and artifacts and transformational opportunities of the recorded medium to frame and reinforce a music with dream-like qualities. And this: I honestly don't know what Stearns's vision in Golden Town is about, but the presence of a vision is clear. For all the associations in his notes, Stearns keeps things cryptic and elusive, and that seems to me to be a strength here, because all the private and disturbing elements that do come across suggest that I ought not be so sure that I would even want to know what it's all about. But I do know that there is a way of listening, just letting it intrude into your own waking dreams, that I find well worth the while. Crooked Timber's John Quiggin asks about "the need for the left to offer a feasible utopian vision as an alternative to the irrationalist tribalism of the right." And surprisingly, but convincingly, he focuses on the issue of house work. I recommend the read. For the moment, however, I'd like to skirt the "irrantional tribalism of the right" (and avoid another one of my rants about musical quietism) and back up to that notion of a "feasible utopian vision" by suggesting that this has been part of the experimental music project for a good long time. It's useful, for example, to contrast the high modernist utopia of Varese, who composed (or tried to compose) a number of visionary works that so challenged the contemporary standard of professional performance technique (Ionisation was premiered by an ensemble which featured more non-percussionists than professional percussionists) or the available resources of electronic music, that his output dwindled and sometimes got stuck altogether (yes, there were other, personal, reasons for these standstills, but these technical difficulties were authentic) with the practical modernist utopia of the younger musicians on the west coast, John Cage and Lou Harrison, and scattered others, like William Russell and Johanna Beyer who managed to make percussion music for their own ensemble of collected instruments struck by amateur players, gathering available resources themselves and making them work rather than wait for the profession and institutions to catch up to the novel demands of their imaginations. And a last example: when the largest new music research institutions were investing on a military-industrial scale in large synthesizers and computers and recording studios with all the typical restrictions on access and agency large institutions make and remarkably little in the way of actual musical output, the more productive — and more lastingly so — were the achievements in the small-scale institutions and private studios which focused instead on microcomputers, primitive networking, hardware hacking etc., all of it endlessly reconfigurable, much of it self-financed, with resources and know-how shared rather than shepherded through corridors of power. Yes, a lot of the work was, inevitably, toss-away-able, but it was productive, in many small steps closer to a real, functioning, feasible and musical utopia. An observation: the traditional form or genre in which Cage was most innovative was not the sonata, quartet, or concerto — although he made genre-challenging examples of each — but the oratorio. I take the word oratorio here liberally, but literally, as a musical vehicle for the elevation of a text with didactic and/or narrative character. His own experiences as an orator began in High School, and certainly were associated his first career ambitions, to preach (his Los Angeles High School classmate, the poet Josephine Miles, told me that he had a good voice for public speaking because it was high-pitched and carried well (oh those days before universal electronic amplification)). It followed through his own public lectures, which were very much the work of a composer, often sharing structures and methods with his musical scores, and really established itself with Lecture on the Weather, Empty Words, and Roaratorio, all works in which Cage's own performance as a public speaker treating source materials of great value to the composer are made musical in large scale. I dodge around the issue of whether these were sacred or secular oratorios, but note that a thematic concern with nature in these pieces is shared with the work generally identified as the first oratorio, Emilio de Cavalieri's Rappresentatione di Anima, et di Corpo (1600) to a libretto by Agostino Manni. Music and labor. At one extreme, music can be a lot of work to composer, to play, or listen to, at the other extreme, it may appear to compose or play itself, and listening goes down easily as well. But neither extreme necessarily implies anything about the pleasure and/or pain of the experience (and indeed, like the pleasure of some chili, peppers, ginger, horseradish, or wasabi, it's often sensual pain that actually seals the deal; Keats, of course: "branched thoughts new grown with pleasant pain") and neither extreme represents a necessarily causal relationship. I'm very fond of the idea of labor-intensive scores which yield sounding end-products which appear to the ear to be simplicity itself, and perhaps even fonder of score/piece combinations which do exactly the opposite. Simple conditions can lead to catastrophic or chaotic results and, at the same time, there is always the possibility of music escaping an entropic arrow and allowing complex initial conditions to resolve, amiably, to the less complex. Again, there's no necessity here, but it's a rich field of possibilities. It's Labor Day here, and that's supposed to be a day free'd up from work, but as a freelance composer, as Cage put it, there are no weekends or holidays. So back to work, but not necessarily hard work.